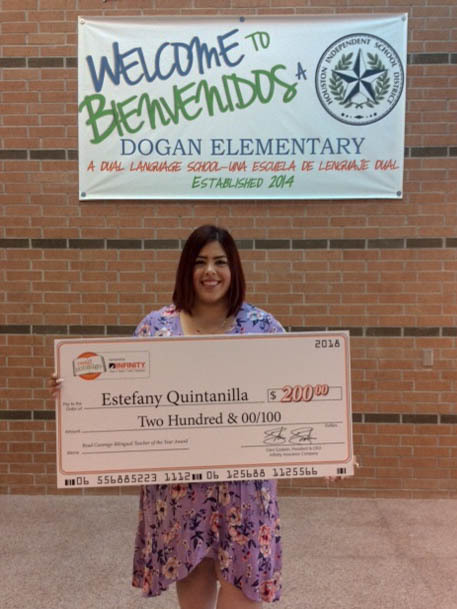 Three bilingual teachers across the country were recognized as the 2018 Bilingual Educators of the Year by Read Conmigo, the award-winning bilingual literacy program sponsored by Infinity Insurance. "We consider promoting literacy in two or more languages to be a key investment in a stronger workforce," said Glen Godwin, Infinity Insurance CEO. According to KIDS COUNT, a project of the Annie E. Casey Foundation, 22% of children ages 5 to 17 in the United States spoke a language other than English at home in 2016. 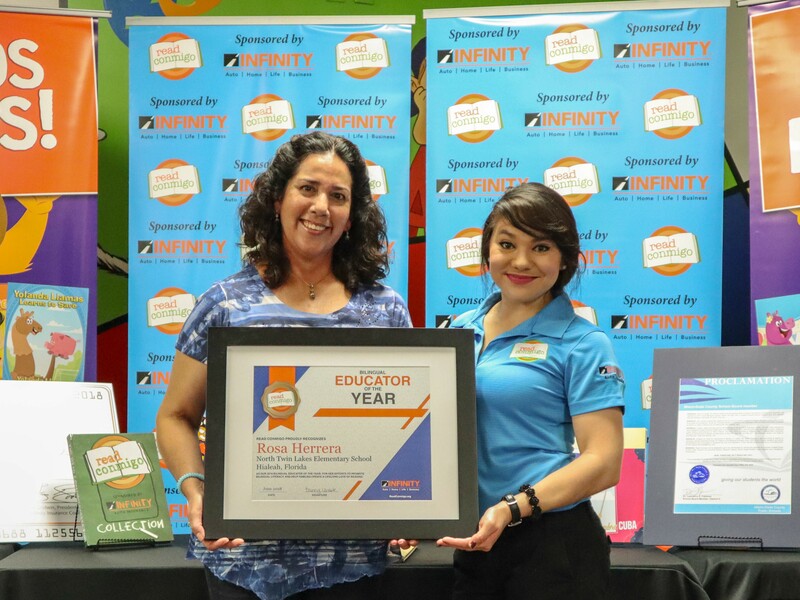 Through the creation of the Bilingual Educator of the Year Award, Read Conmigo honors teachers for their commitment and dedication to educating bilingual students across the country. The program received over 40 nominations and 8,000 votes. Nominations were accepted from parents, former students, and educators. ​In addition to the certificate recognizing their achievement, each teacher will receive a cash prize. Infinity Auto Insurance is driven to serve others. Read Conmigo represents one of Infinity's largest investments in the community. By providing parents with bilingual storybooks, apps, and online resources, Read Conmigo bridges the gap for many Hispanic parents who hesitate to read to their children in English or Spanish due to language barriers. The program has already distributed more than 1,000,000 free books to classrooms and Hispanic families, and receives support from more than 16,000 educators. 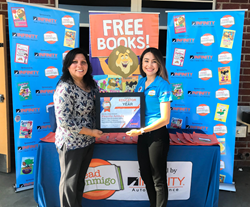 Infinity Auto Insurance employees, along with Read Conmigo authors and illustrators, engage their communities at special events, schools and libraries to foster bilingual literacy in young readers. For more information: http://www.readconmigo.org. Infinity Property and Casualty Corporation (NASDAQ: IPCC) is a national provider of automobile insurance with a concentration on nonstandard auto insurance. Its products are offered through a network of approximately 10,800 independent agencies and brokers. For more information about Infinity, please visit https://www.infinityauto.com/.